I love Easter. It's so much more calm and relaxed than Christmas. Because it's a Sunday I feel like it's easier to focus on my Savior. I am so thankful for his Atoning Sacrifice. There is no greater gift than the gift He gave to us. 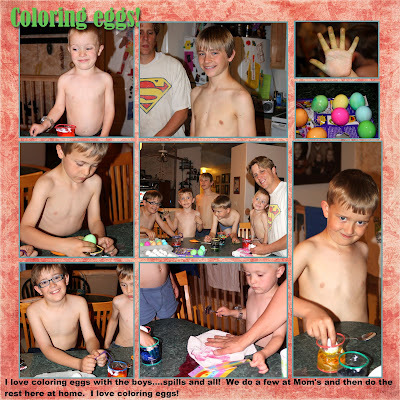 We colored our own eggs Saturday night after we got home from mom's. I LOVE coloring eggs with my kids.....spills and all! 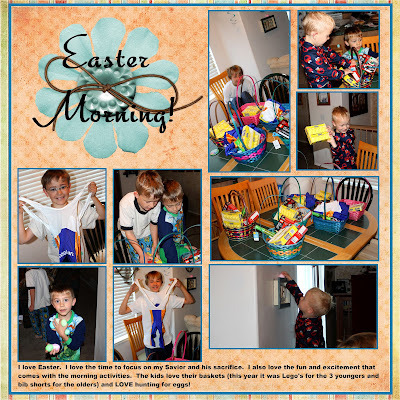 We have fun in the morning for a bit with baskets and the egg hunt, and I LOVE that too. This year the kids got Cars Lego kits (for Isaac, Lucas and Nick) and cycling bib shorts (for Ty and Matt), and of course some candy! Nick was so excited about his peeps!! 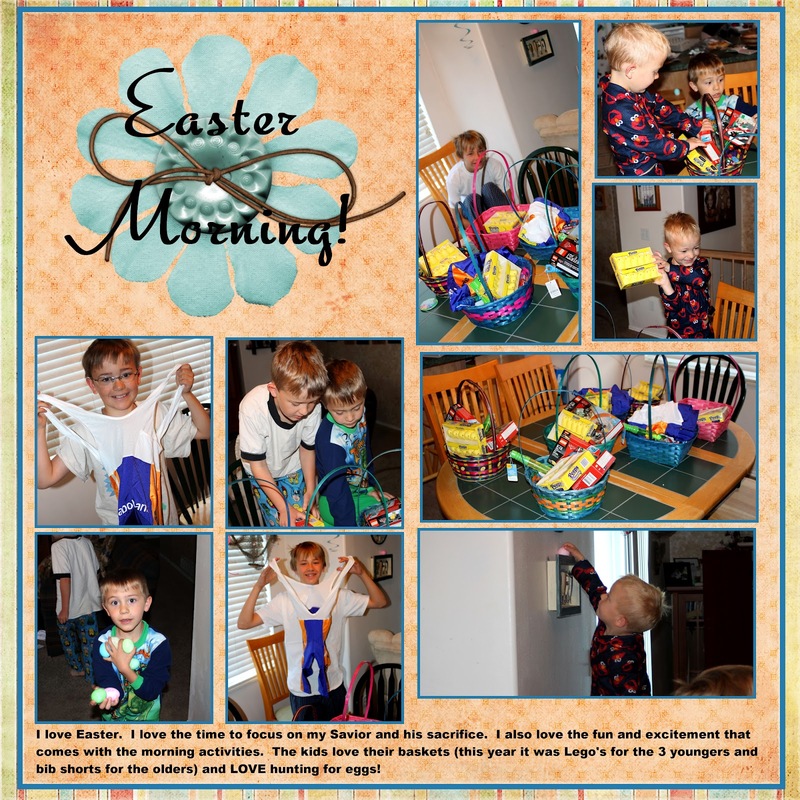 I also love watching them hunt for eggs. The big kids have fun helping the little ones:) I love my family! !